Papergreat: "Just sending this postcard to let you know that I'll write later"
"Just sending this postcard to let you know that I'll write later"
Here's the 1906 equivalent of a temporary brush-off. The note from Dede to Mrs. Otis Nyman states simply: "Will write soon." A year before the divided-back postcard was introduced in the United States, Dede had only the front of this card to write upon. 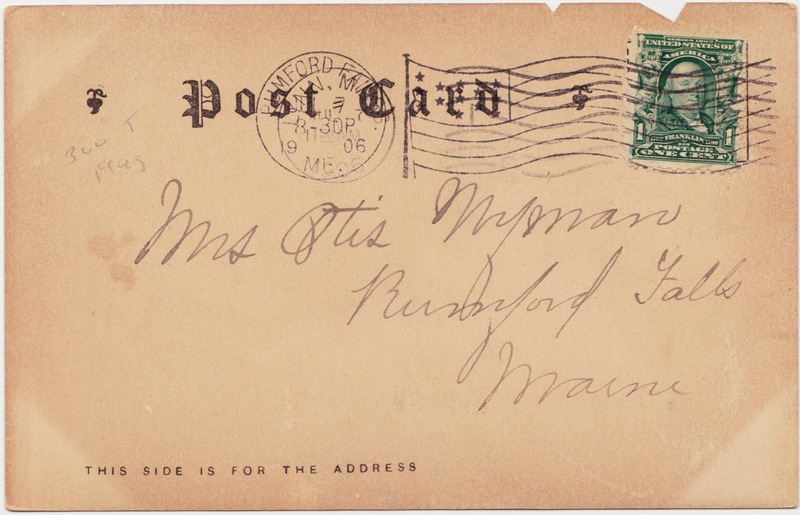 The card was postmarked in both Lynn and its destination of Rumford Falls, Maine, in 1906. Rumford Falls was a settlement within Rumford (which was originally, back in the 1770s, called New Pennacook Plantation). Rumford has been fueled by its paper industry since the 1890s, though the economic climate in that line of commerce is in the midst of taking another hit this winter. 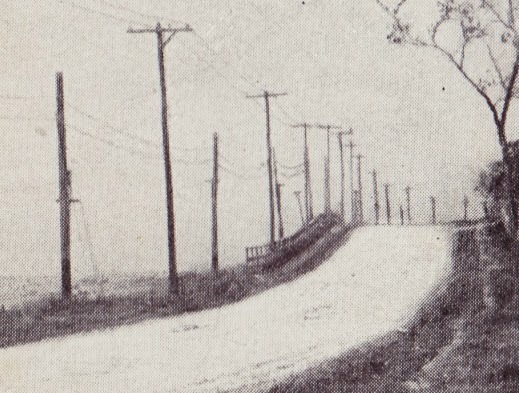 (1) There are two sets of transmission lines to the left of Nahant Road. I would assume that one is the telephone line and the other is the electric line. 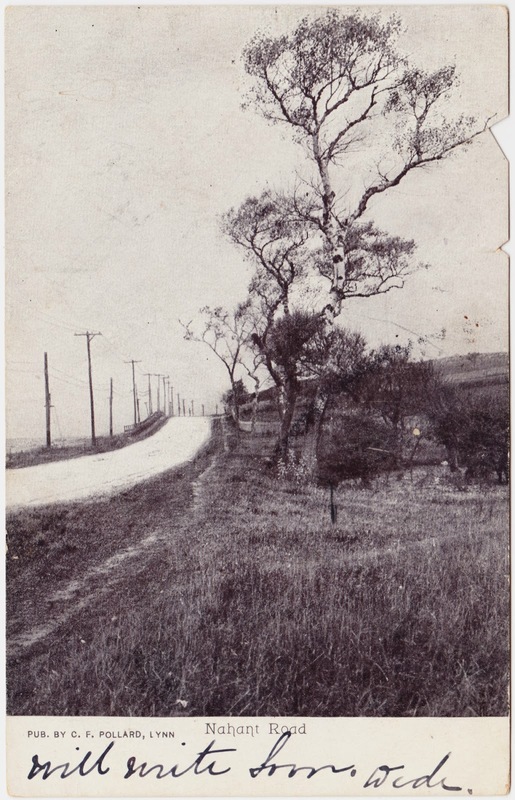 (2) It's interesting to note the well-worn footpath to the right of the dirt road. 1. Portions of the Martin Scorsese film Shutter Island were filmed in Nahant.